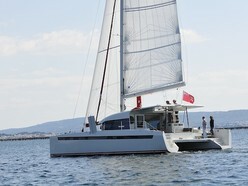 2006, This Lagoon 44 is a power catamaran. It is currently part of a charter fleet in Singapore. The "On Going Business" is being sold with the Lagoon 44 and is included in the price. With a full time crew, the boat has been maintained to a high level and was lifted for complete anti-fouling recently.